Cybil & Andrew tied the knot at Cybil's parents home in Hartsville, South Carolina on a rainy Saturday in April. This couple made the absolute best of the gloomy weather and were so beyond smitten with each other, as you can see in the photos of just the bride and groom, that nothing else, including the weather, mattered. The vintage decor of this beautiful southern-style home provided the perfect backdrop for photos. Their wedding planner, Melyssa, from Alchemist Events by Melyssa (instagram @alchemistevents), pulled off the bride's visions beautifully. This entire crew made my job as a photographer easy. 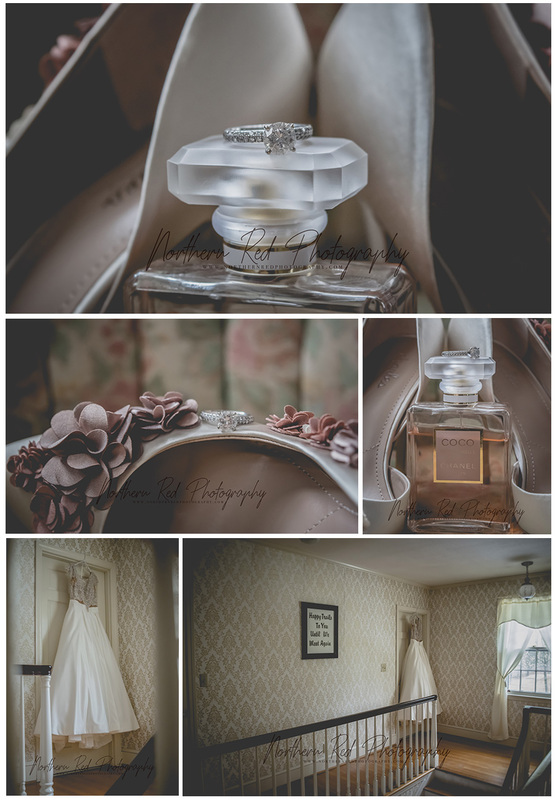 Northern Red Photography, LLC is a photojournalistic wedding photographer located in Aiken, South Carolina. We specialize in capturing authentic joy and love stories; from engagement sessions and bridal portraits to the day of the wedding, we’re here to turn your moments into memories. You want to remember your wedding day exactly as it happened and we’re focused on capturing your memories. No images may be used without written permission from Northern Red Photography, LLC.